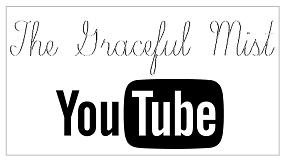 Hello Graceful Girls and Bellas! 2018 is very near. 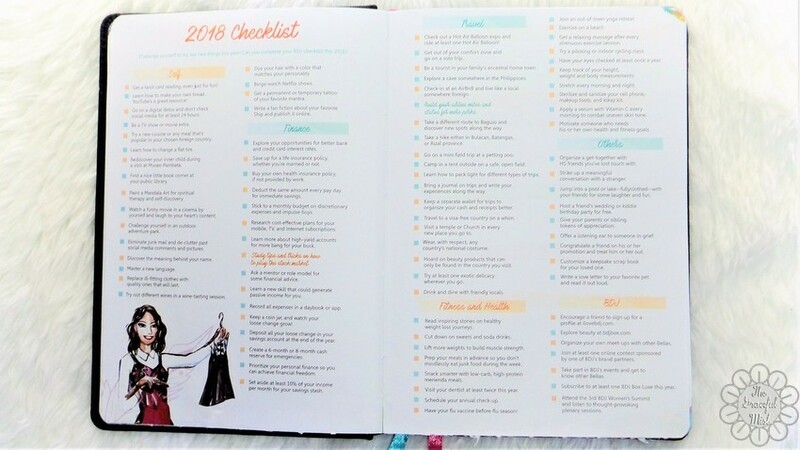 Therefore, I acquired the 2018 BDJ Power Planner to help me plan and organize my activities next year. 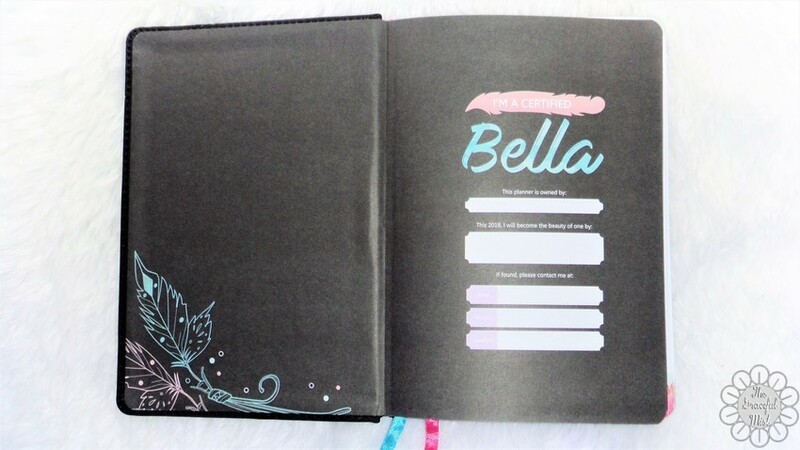 The Belle De Jour Power Planner has had different versions, themes, and designs throughout the years. 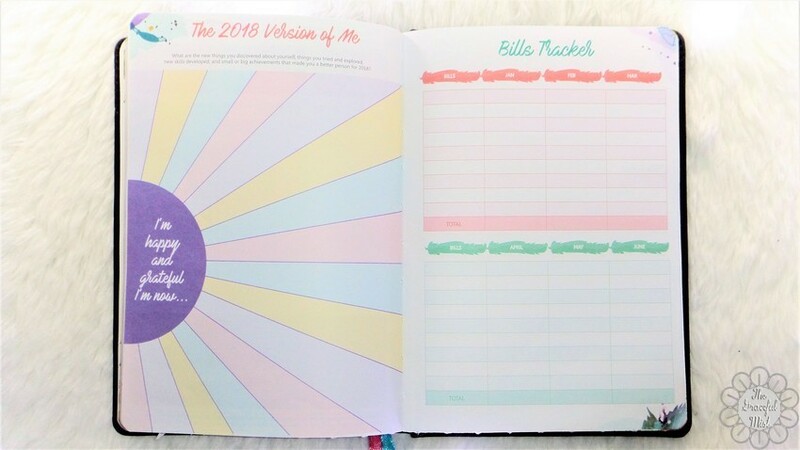 For 2018, their Belle De Jour Power Planner`s tagline is "I am a Beauty of One." 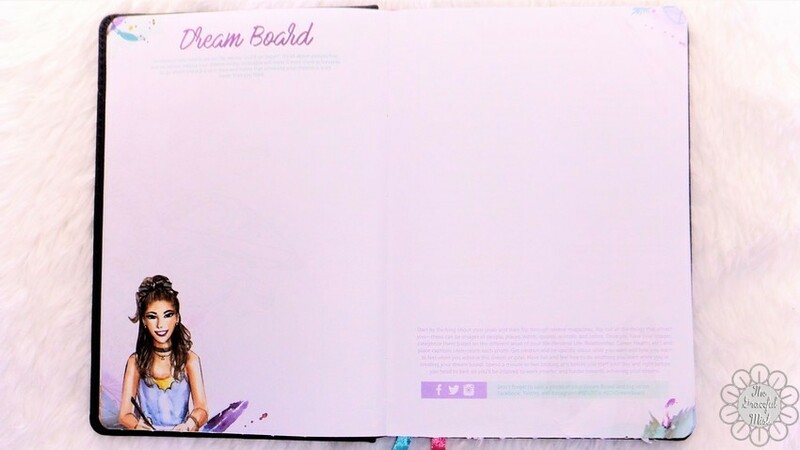 You can use the coupon code "bella_kathryn" to get 20% off of your total regular purchases at ilovebdj.com. The order was placed and paid on November 29, 2017 at 3:13 PM. The package arrived after about 3-4 days at around 1-2 PM. 3.) Acknowledgments, Information about Viviamo! 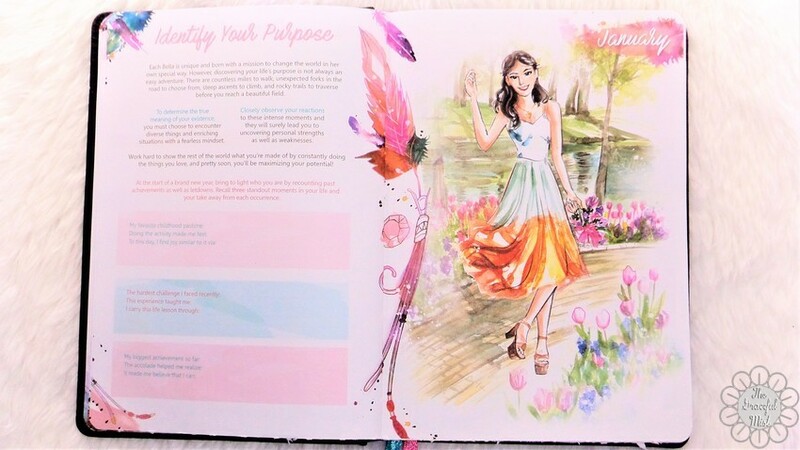 Inc., and a Letter from "Your Soul Sisters"
The 2018 Belle De Jour Power Planner`s theme is a mix of artsy, boho, and "it" girl. 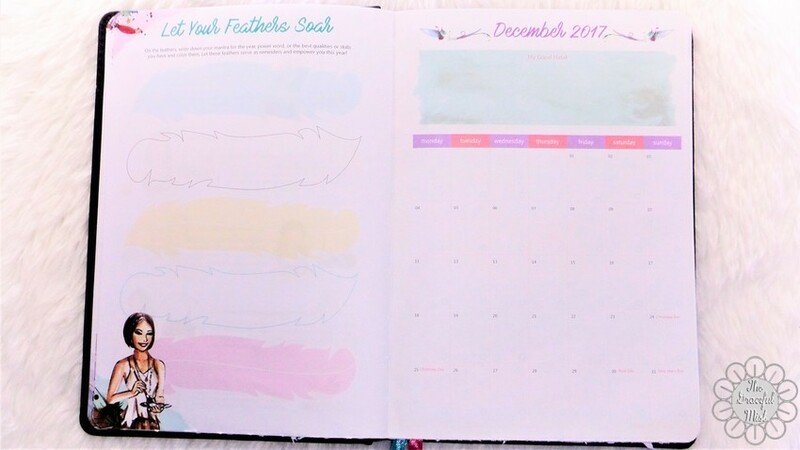 When I first saw it in their Facebook Live video on their Facebook Page, I became excited to get my own 2018 planner because I really like the designs, theme and new features. 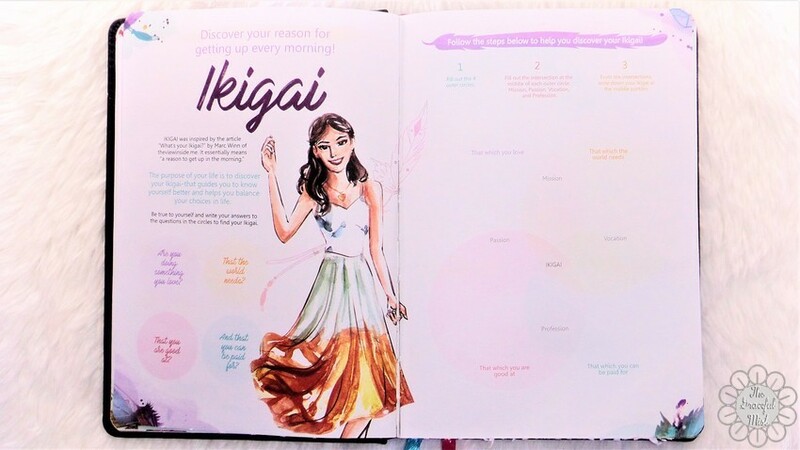 For the 2017 Belle De Jour Power Planner, I was hoping to get the leather version but since I couldn`t find it in the main branch of National Book Store, I just bought the smythe version because the spiral version like my 2016 Belle De Jour Power Planner seemed to rip quite easily. 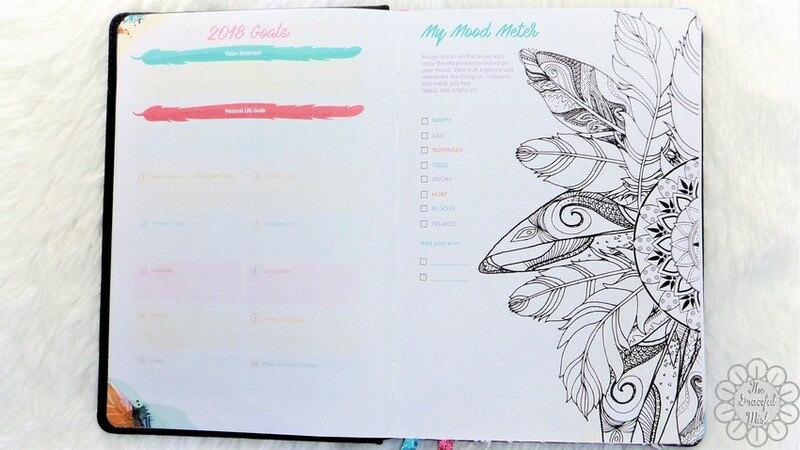 The bound planner seemed to work much better for me because my 2017 BDJ Power Planner is still intact. 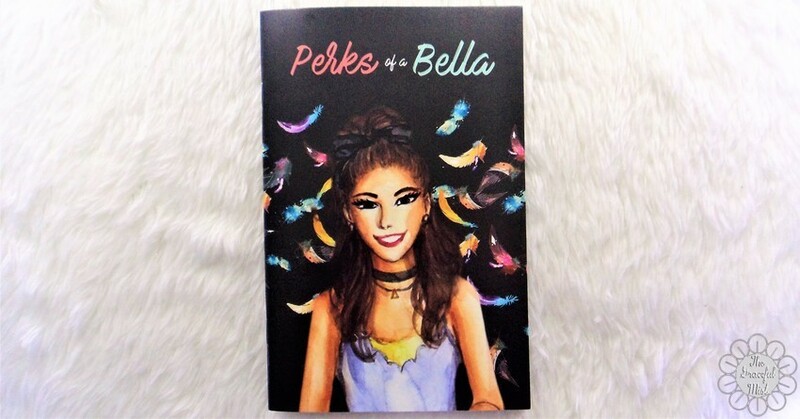 Fortunately, Bellas can now purchase the leather version of the 2018 planner at National Book Store. For 2018, I`m delighted that I finally bought the leather version with customization. 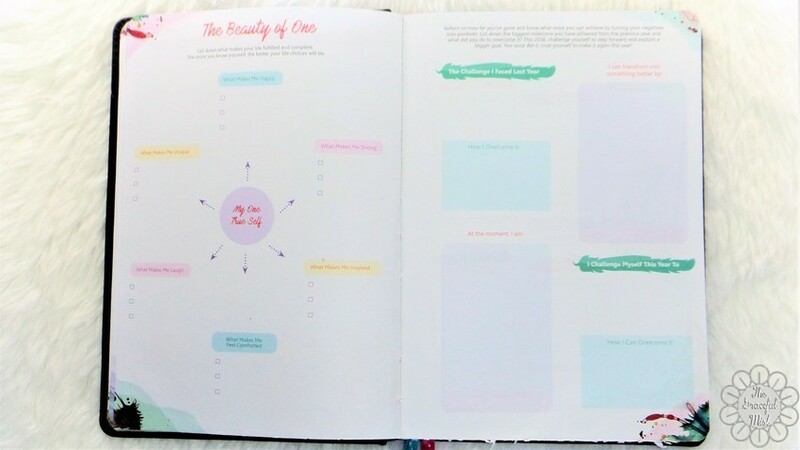 IloveBDJ.com now offers a discbound leather version of the 2018 Belle De Jour Power Planner. 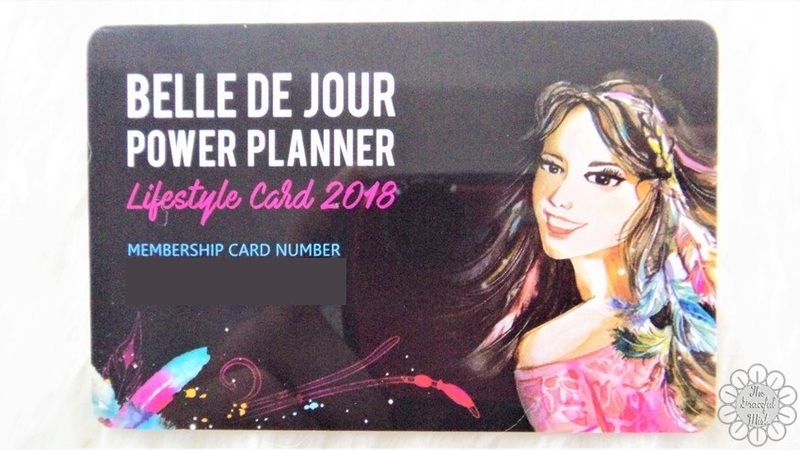 I was also leaning towards getting this version but I was quite unsure because of my negative experience with the 2016 Belle De Jour Power Planner Spiral version. 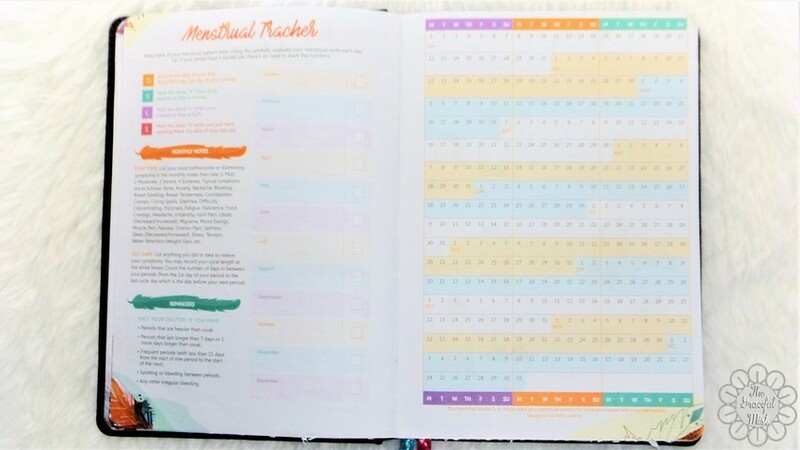 Although the discbound seems to offer more opportunities to customize the planner, and reuse it, I read some negative reviews online at how the papers seemed to have gotten thinner thus making it susceptible to ripping and other possible damages. 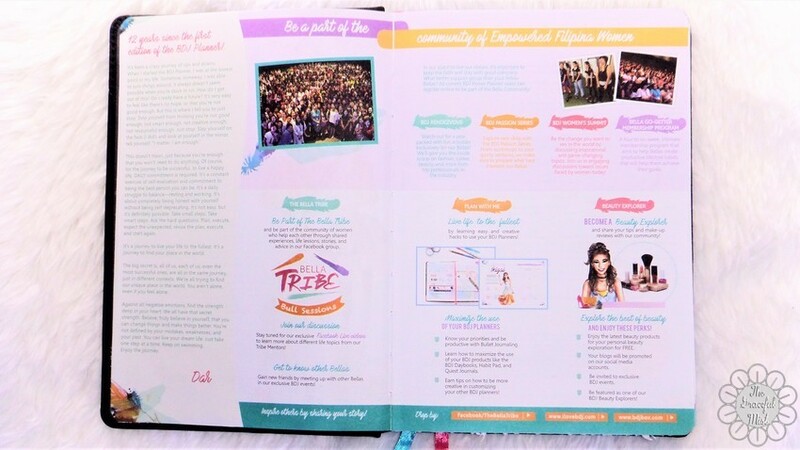 According to Ms. Darlyn Ty, the papers still remain 100 GSM, the type of paper they used since they started selling BDJ Planners. 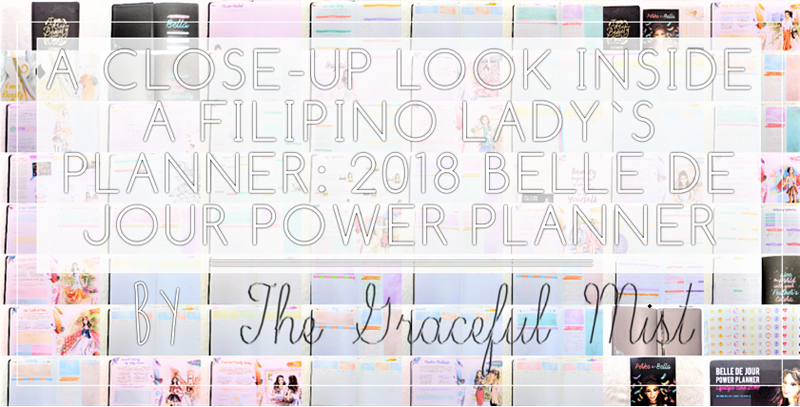 I compared the papers of 2018 BDJ Power Planner, "I am a Beauty of One," to my 2016 BDJ Power Planner, and 2017 BDJ Power Planner. 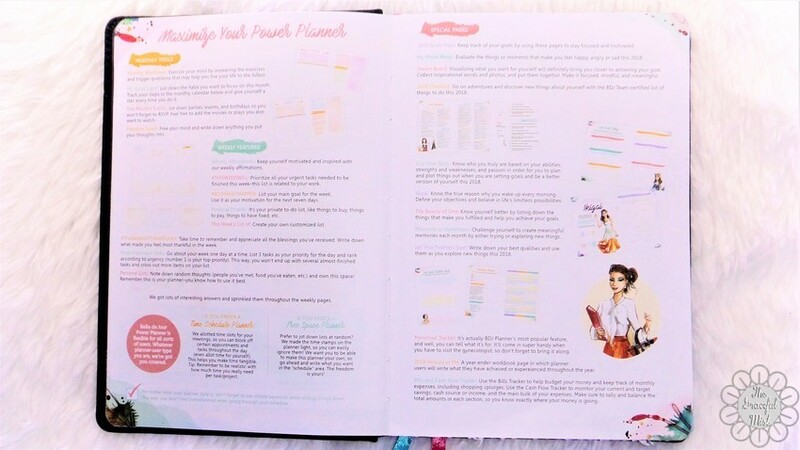 The papers in the 2016 and 2017 BDJ Power Planners seem to have better quality than the papers in the 2018 BDJ Power Planner. 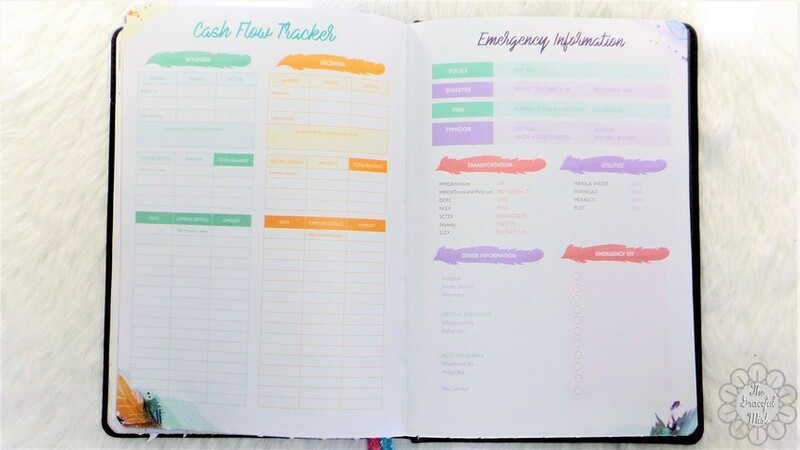 The 2018 BDJ planner`s papers seem like they are not as durable and thick as the papers in the older planners. 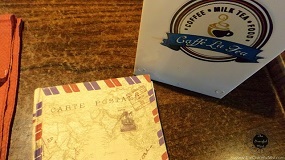 Although the papers in the 2018 version seem lighter, they don`t seem to have the same quality as the papers in the older versions. 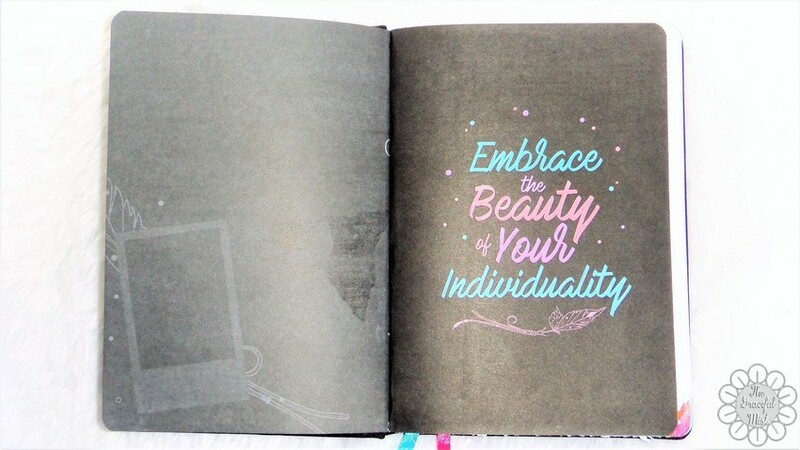 As for the 2018 Belle De Jour Power Planner leather version, I really like the cover. 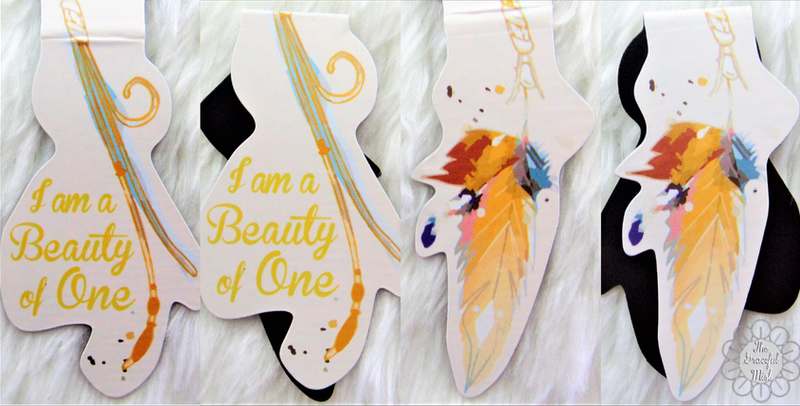 Their tagline, "I am a Beauty of One," for me is about acknowledging the beauty of our uniqueness with our personal dreams, goals and visions, and capabilities and skills. 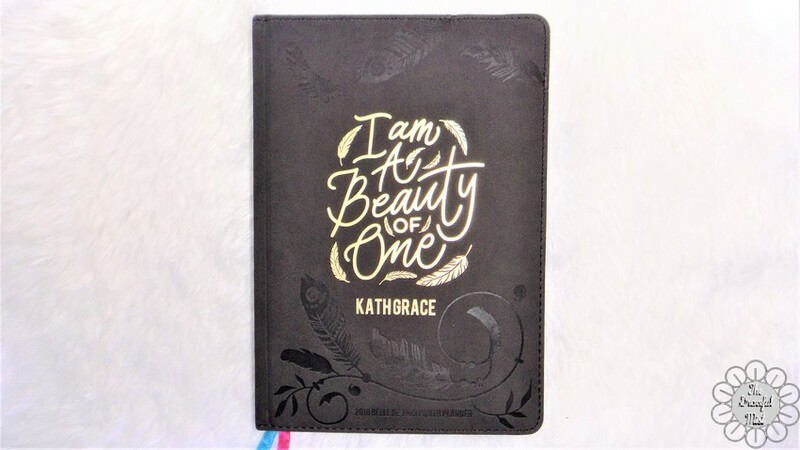 The cover has suede leather with their tagline, "I am a Beauty of One" and my name, "Kath Grace" in gold, and with some feather designs on the top and bottom in black. 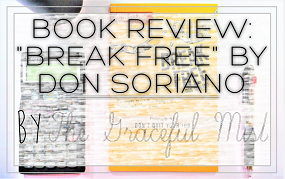 The overall theme is artsy and boho-like which I really like. 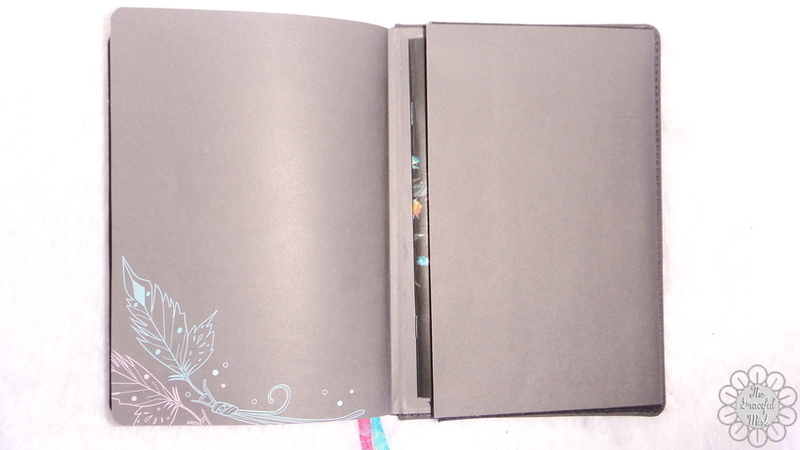 The pages look like they were painted with watercolors. 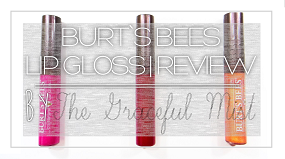 Unfortunately, one of the disadvantages of shopping online is we can`t check the over-all quality of the product. 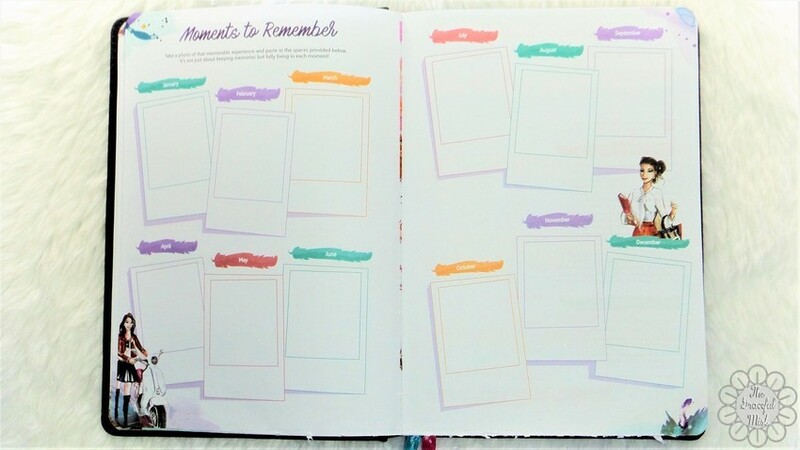 Like with this planner, there were many pages stuck together at the bottom which is why I had to cut them to separate the pages. 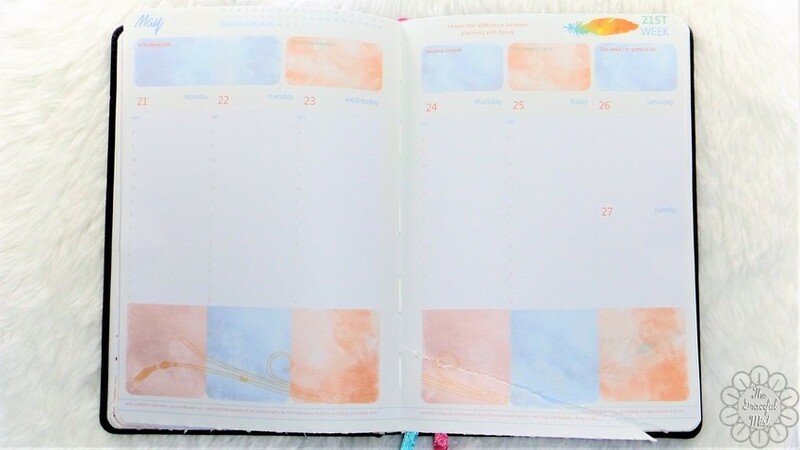 Also, there were some pages that were damaged like one of the weekly planner pages in May 2018. 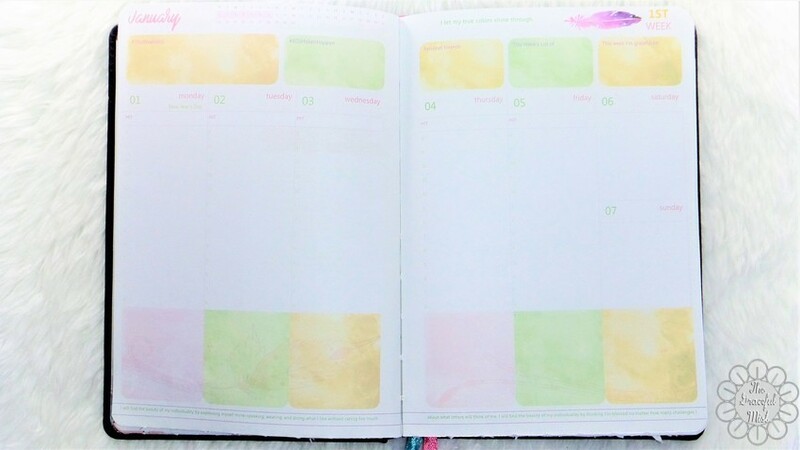 The stickers that came with this new BDJ Planner is smaller compared to the stickers from past planners. The stickers from the 2016 BDJ Power Planner are bigger. 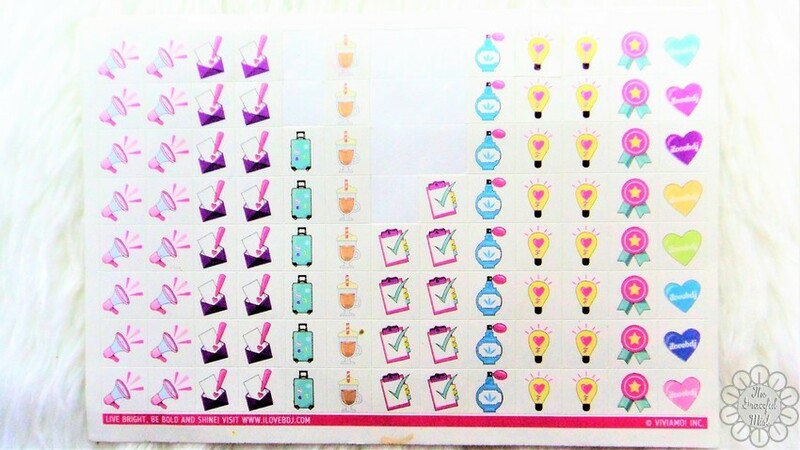 They only gave 1 sheet of stickers when in 2016, they provided 2 sheets. 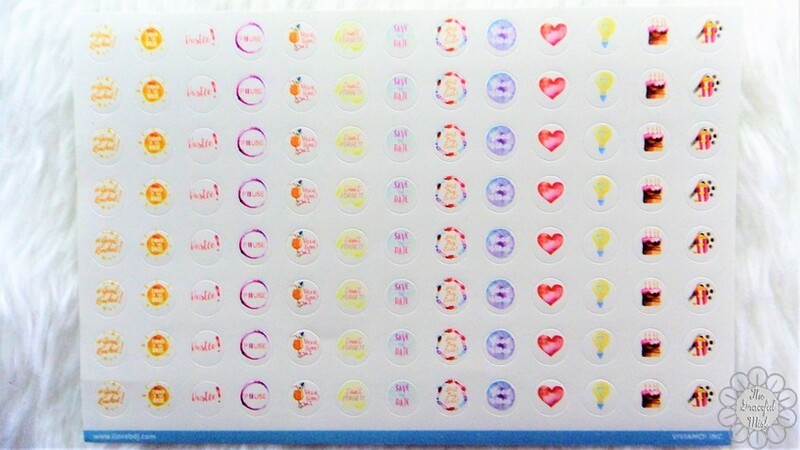 Also, the designs of the stickers doesn`t fit right in the circles. 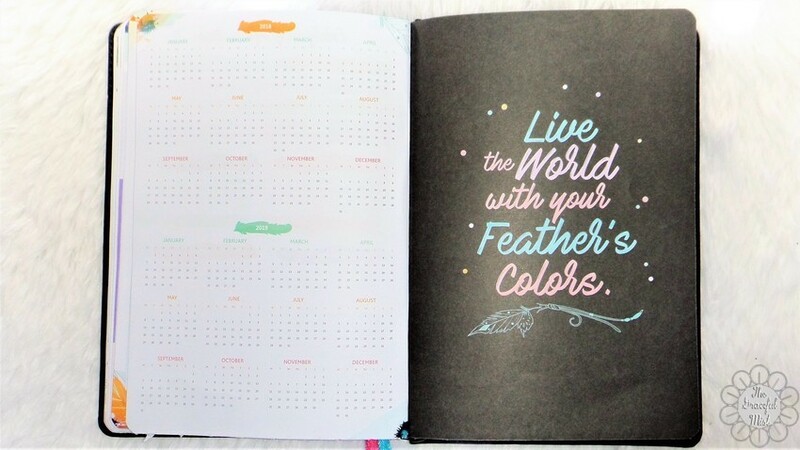 All in all, I`m extremely glad I was finally able to get the customized leather version of the Belle De Jour Power Planner for 2018. I honestly love the over-all design and theme. 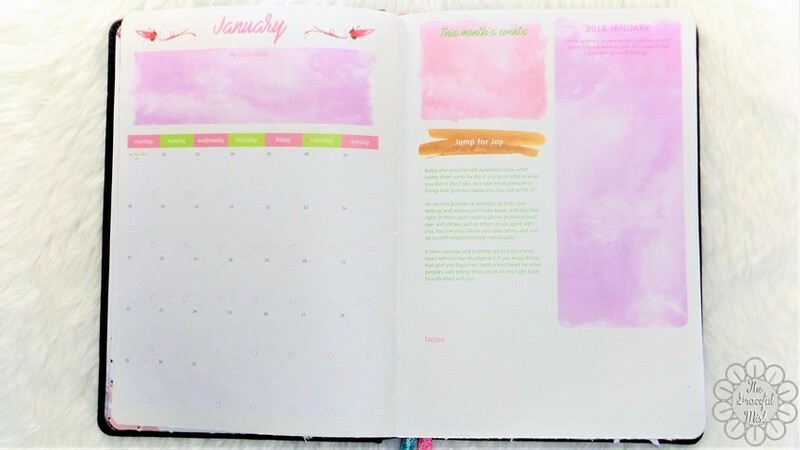 I`m excited to plan most of my activities and start the year right. 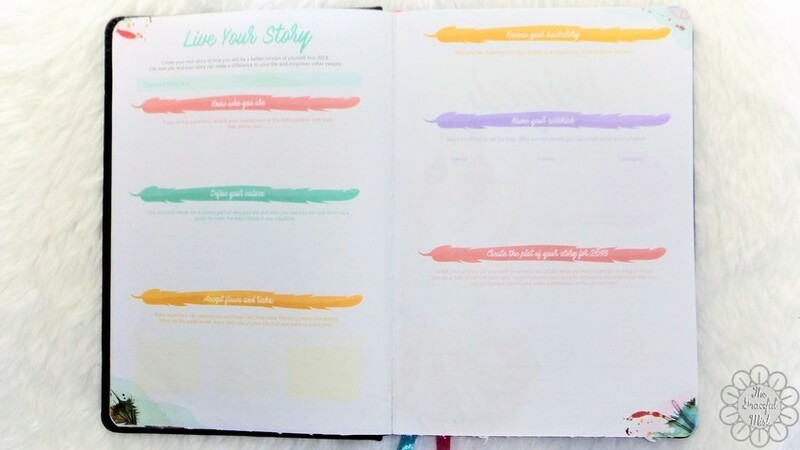 What planner are you going to use for 2018? 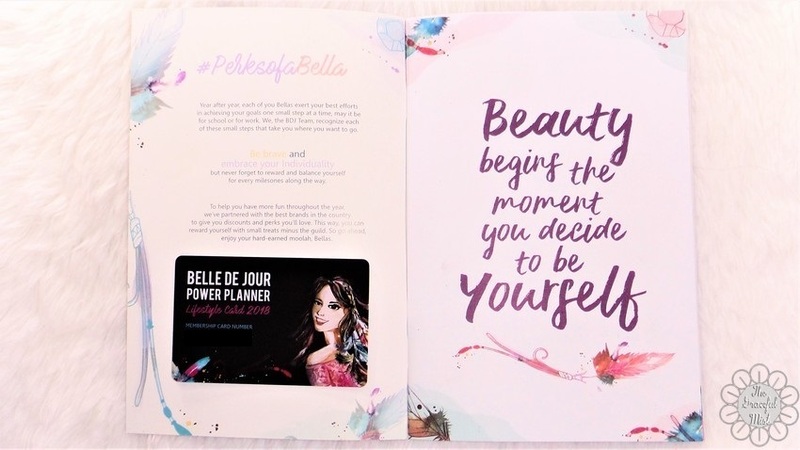 What do you think of Belle De Jour Power Planners? 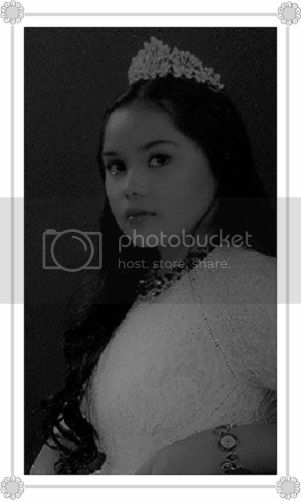 You may share your thoughts in comments` section below. Have a blessed and beautiful new year! Disclaimer: This is not a paid or sponsored post. 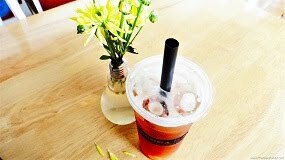 All opinions in this blog post were written with utmost honesty and sincerity.